The Farming Management Evaluation Group conducts management evaluation research and surveys to build high-profit farming systems in the Hokkaido region. The following is an overview of the research. For paddy field management, we will create a large-scale paddy-farming model that produces rice, wheat, soybean, onions etc. to clarify how much field expansion and income growth that can be expected, thereby supporting a paddy field farm. In addition, we will analyze the trend of the development of production of rice, wheat, vegetable etc. by Hokkaido Paddy Field Agriculture. Moreover, we will present the business model of large-scale paddy-farming that differentiates agricultural products such as open-field vegetables by processing and sales efforts. For dairy farming, we will present the economic conditions of the collaboration between upland farming and dairy farming to promote production and use of domestic concentrated ration feed. At the same time, we evaluate the marketability of dairy products made from raw milk produced using domestic concentrated ration feed. We also evaluate the effect of introducing grassland management / pasture technology system to stably supply high nutrition and high protein grass. Furthermore, we estimate the economic effect of high lactating persistency cattle and present a model of dairy farming with 100 milking cow with high lactation persistency. We are going to organize effective cultivation techniques to obtain international certification associated with export. Also we present measures to improve employee's organizational commitment toward solving employee's fixing and autonomy problems on large-scale employment-oriented farm management. We will also clarify measures using various systems such as Farmland Intermediary Management Institutions to accelerate consolidation and aggregation of farmland in large scale agricultural corporation. Furthermore, we will elucidate the characteristics and issues of grazing dairy farm in Hokkaido region. So far, we have published various achievements aiming at the growth and development of the agricultural management and the revitalization of regional agriculture. 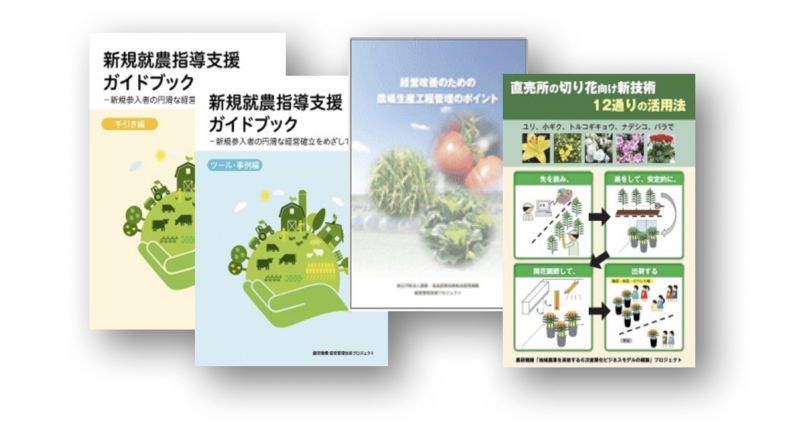 For instance, we have published several instruction manuals in Japanese such as the "New Farming Instruction and Assistance Guidebook" providing necessary assistance for the supporter of new farmer, "Points for Management of Farm Production" for management improvement to link the adoption of GAP in an agricultural corporation, and "12 Practical Methods of Utilizing New Technology for Direct Marketing of Cut Flowers" that respond to various problems of marketing cut flowers for direct sales.